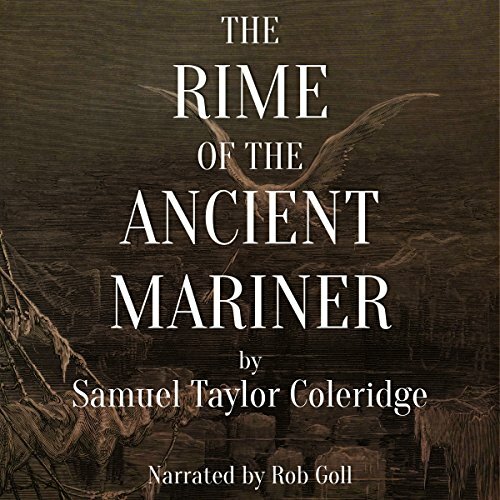 Considered to be Coleridge's masterpiece, "The Rime of the Ancyent Marinere" was originally published in Lyrical Ballads in 1798. The poem was subsequently revised, and this is reflected in the title change to "The Rime of the Ancient Mariner". This recording uses the text of the revised version. Love it! Iron Maiden brought Me Here! It was everything I hoped it would be! Narrator was spot on and had a beautiful cadence! A Must Listen On My World! Dig if you will this Rhyme, Of Mariner and Cursed And Pained! This is my favorite poem and has been since I first read it three decades ago.